Our application is also a versatile platform for colleagues to manage their data and wallets. Our Smartwearable supports 24-hour monitoring and various special features for different needs. 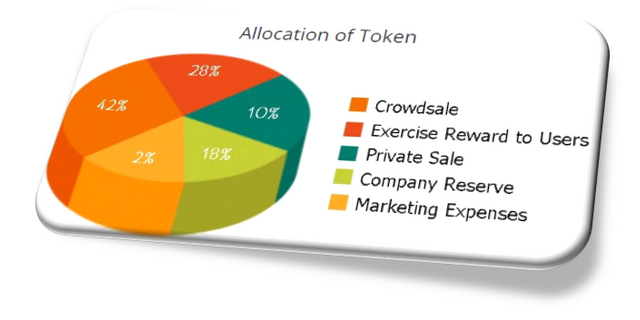 Exchange of hard health tokens will be a market for you to use your coins for whatever your heart wants. Analysis of Small and Large Data and AI will be used to provide users with discounts, services and goods that are most relevant to their health and fitness goals. A chatbot, bob the chatbot, will be built to offer personalized advice to further encourage members to follow healthy habits and achieve their health and fitness goals. Therefore a positive feedback loop is formed. 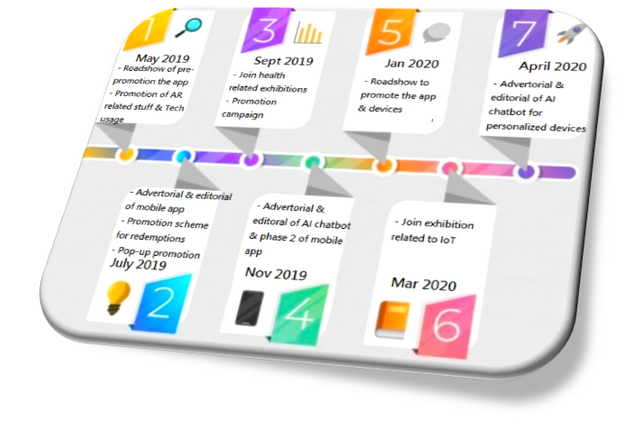 Let the vendor or advertiser enter the token received in the transaction back to the platform to pay for the ad, creating a full cycle of interactions between coins and tokens. Sharing your workout achievements with friends cannot be easier. Sharing Exercises allows you to tell friends and followers about your practice on any social network. Wearable devices allow you to enjoy training and sharing with others. Price token Please, see the pricing model below.